Great Hostel, just outside the centrum (10-15 minutes drive). Quiet little community , but with all the service everyone needs, like mall, restaurants, shops and whatnot. Hostel Del Mar is perfect in all sense and the host is one of the best. One feel just like home. Small beach at the end of the town, perfect for those who like the tranquility and not the hubub of crowded beach. No bars or restaurants at the beach though, so buy your stuff before heading for all the steps down to the beach. Very pleasing surroundings, a great yard, peaceful place, very kind hosts. Everything was clean and tidy and there' s an open kitchen for anyone to use or store some groceries or keep the beer cold :) A market place also nearby, more or less 10 mins walking distance. Easily accessible from the city of Varna. Just followed the on site instructions and i was there in less than 20 minutes. Overall an excellent choise! Me and a friend stayed for 7 days and didn't want to leave! The atmosphere was lovely and had a real sense of companionship within the diverse set of travellers staying there. 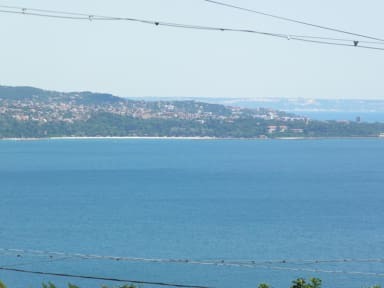 Close to Varna city and within short walking distance of 2 beaches and some shops and restaurants. Small enough to feel completely relaxed but big enough to get to know everyone else! Would love to come back! Chill area to relax and get a good feel of the village atmosphere. About a 30 minute walk to the sea (involving quite a lot of stairs)! Nice place, I was one of the first guests of the season, this place is outside of the city, great place for relaxing and chilling out but not much else going on around. Dear friends at booking, This has unfortunately been a great disappointment to us. 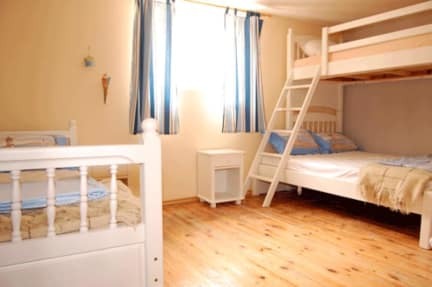 My husband and I had booked the hostel thinking it was a place were we could have a humble but l legitimate stay, but we did not see any signs that this was a legitimate facility at all. It was a room offered inside someone’s house. The hosts was a nice person, but we did not feel confortable at all, and also had no option but to stay there for the night. We’re rethinking if we’ll ever use booking.com again.